The sandstorm today was so bad that they closed the university. Miriam chose a crazy day to come to work with me! 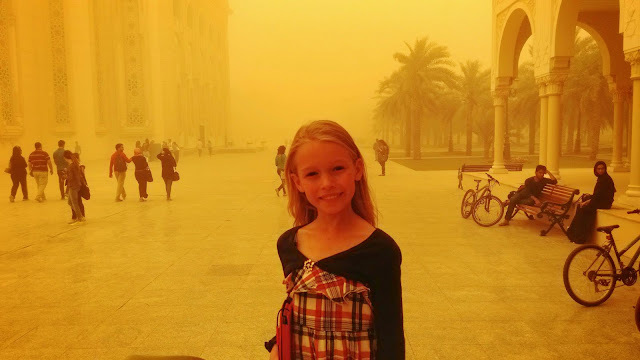 The weird thing about sandstorms is how orange they are. Seriously so orange.